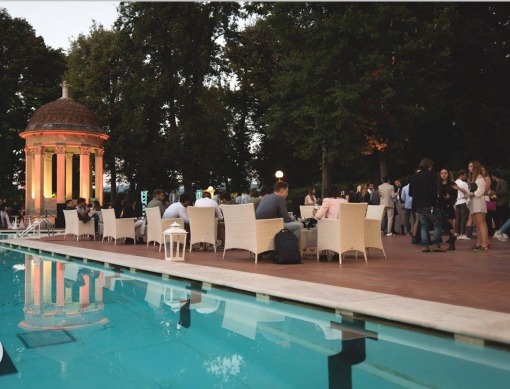 Every day, both in summer and in winter, from 7:30 pm the bar welcomes you for an aperitif. Servedindoors during the winter and on the terraces or in the park in the summer, every day we want to spoil you serving the best tasting selection directly from our kitchen, to be combined with a glass of good wine or one of our cocktails, prepared according to the mixing techniques and the recipes of the IBA International Bartending Association, studied by our barmen. Every evening we set up an aperitif with a rich buffet ; to participate the first drink has a cost of € 10 , the second € 7 at the table or € 5 at the desk. Le Pavoniere is aseafood restaurant for refined and romantic dinners , such as an anniversary, but also for parties with friends or family. The kitchen specializes in seafood preparations, especially the raw ones such as tartare, carpaccio and oysters, but there are also meat and pizza dishes. Le Pavoniere is in Florence, in the Parco delle Cascine, inside the Le Pavoniere complex and is accessed from Viale Degli Olmi.